Now that it’s legal in Colorado, the state’s drug-sniffing canines might be to be retrained, as a recent court case proves. 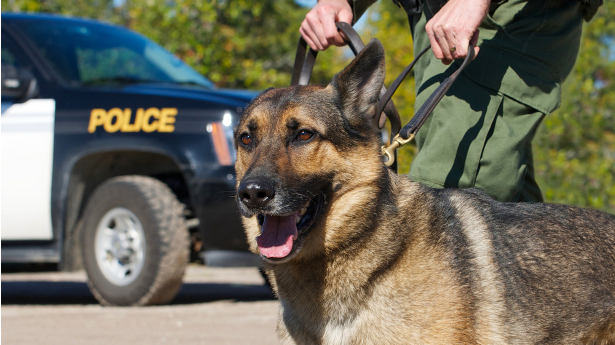 A recent ruling by the Colorado Court of Appeals has set a new precedent for drug cases, and it seems drug-sniffing police dogs that detect cannabis might just need new training. The three-judge panel at the Court of Appeals all agreed that if a drug-sniffing dog is trained to alert officers to the presence of weed and other drugs, cops will need more cause to search a vehicle without permission. The decision came as a result of a 2015 case in Moffat County, where a drug-sniffing dog alerted officers to the presence of an illegal drug in a truck that was being driven by Kevin McKnight. But because the dog, Kilo, could not tell officers whether he smelled weed or other drugs, the search was deemed illegal by the judges. The dog, which was trained to identify cocaine, heroin, ecstasy, methamphetamine and also cannabis. Of course, in Colorado, the latter is legal for possession by adults over 21. A dog sniff could result in an alert with respect to something for which, under Colorado law, a person has a legitimate expectation of privacy. Because a dog sniff of a vehicle could infringe upon a legitimate expectation of privacy solely under state law, that dog sniff should now be considered a ‘search’… where the occupants are 21 years or older. But it’s not just Colorado. Courts in other states (such as California and Arizona that have legalized weed for medical or recreational purposes) have said that the smell alone is insufficient grounds for a warrantless search. The odor of marijuana is still suggestive of criminal activity. In the case of Kevin McKnight, the judges concluded that the dog’s alert did more than ‘contribute’ to a decision to search the car because McKnight gave no indication he was impaired or doing anything illegal. The police lacked the requisite reasonable suspicion to subject McKnight’s truck to a dog sniff.